Season debut in sunny Italy for 3 of our girls, Ingvild, Cecilie and Katrine. The race started in Taino in a fierce tempo, and a big crash after 8 kilometers took down many riders, luckily none of ours. 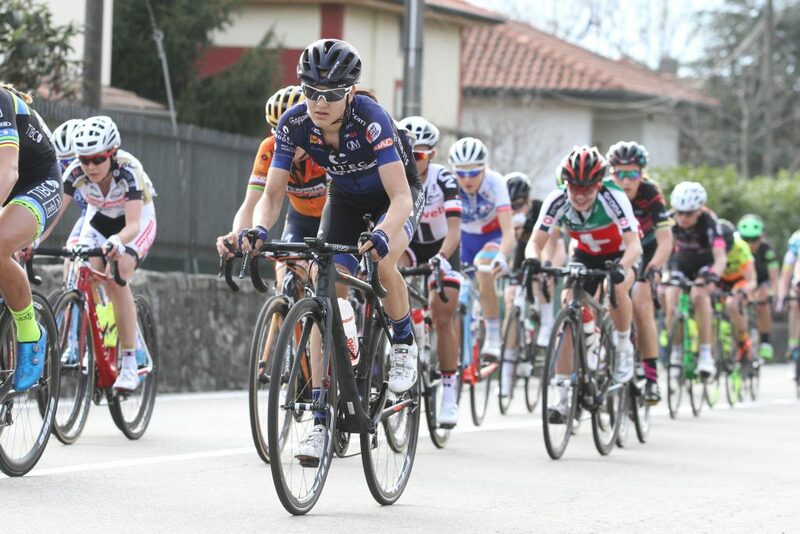 Before the first big hill after 35 km, Simona was in a breakaway with 2 other girls. 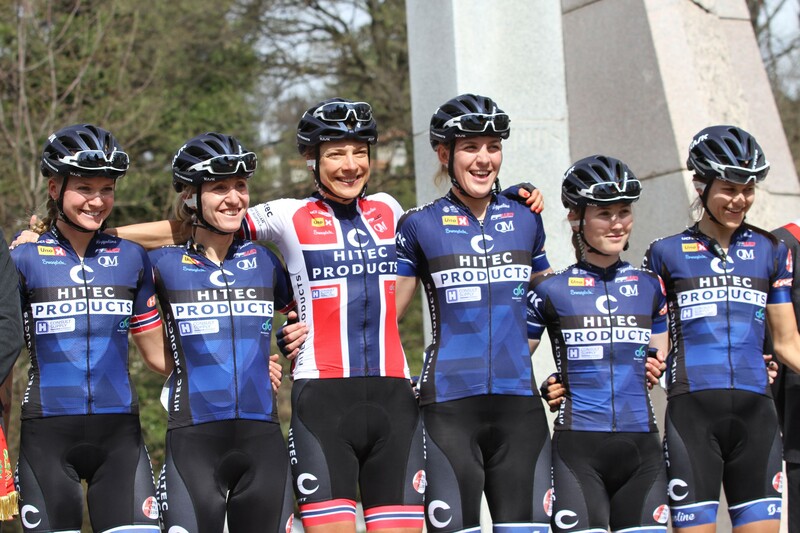 On the 4 km long hill, the peloton split in several groups, and Cecilie, Ingvild and Simona where in the dropped groups. Vita and Katrine stayed with the first big group while Miriam managed to fight her way back to the main peloton after some impressive downhill riding. Later Miriam had to let the first group go, and the last 2 local laps we only had Katrine & Vita in the first group. Katrine was very convincing in her first WWT race, and her first race of the season after a recent illness. No doubt that our strongest rider of the day was Vita, When the leading group got smaller and smaller she was always at the front. On the final kilometers Katrine was dropped with 8 other riders, and only 26 riders where left in the lead. 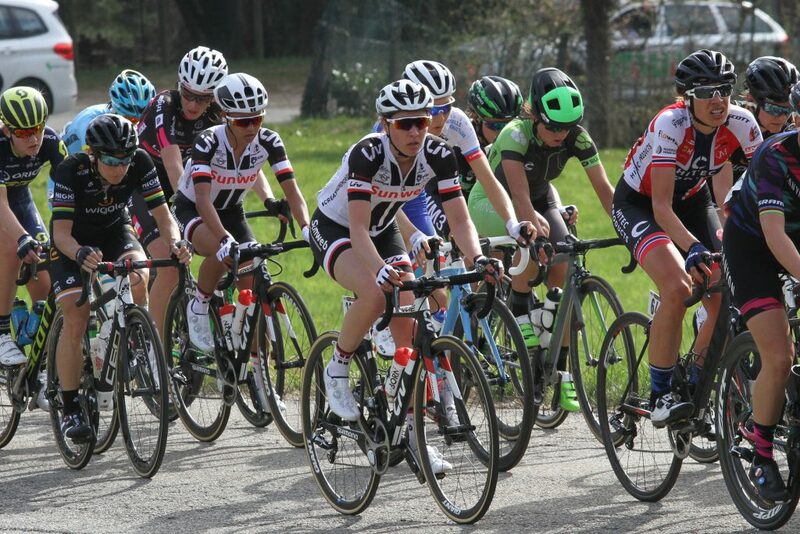 Vita sprinted to a 14th place and her first WWT points, while Coryn Rivera (Sunweb) was the surprise winner.